Scheduling Reminder: We will be CLOSED tomorrow, Monday, September 1st. 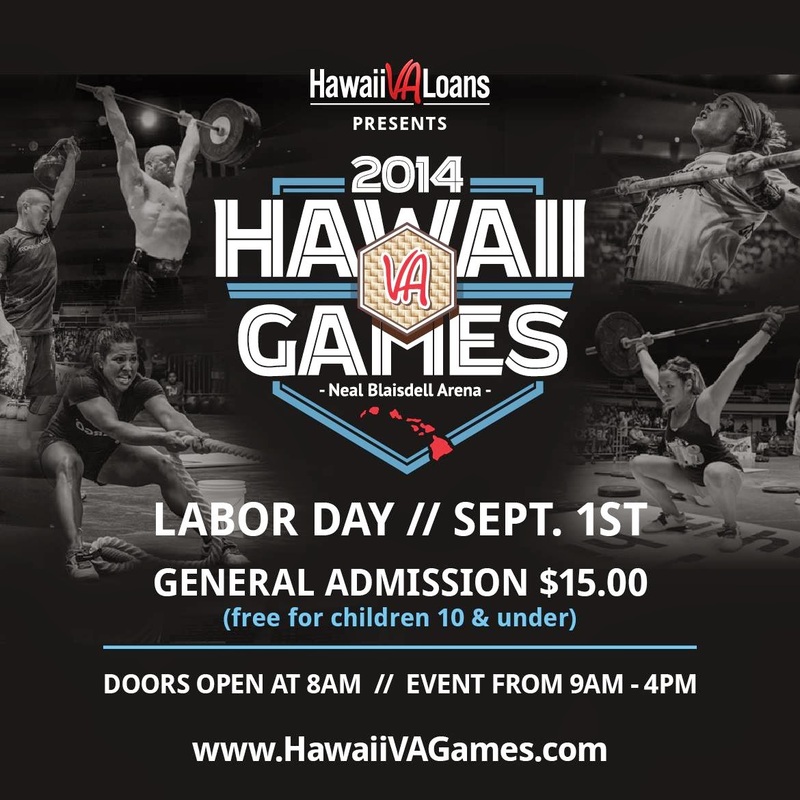 Please make your way down to the Blaisdell to watch and cheer your Team 808 athletes on in the Hawaii VA Games. Don't forget to wear your Blue Paradise shirt or tank. A. "Team Series Event 1.3"
Take 10-minutes to establish a 3 rep max Front Squat. B. "Team Series Event 1.1"
FREE INTRO CLASS/BRING-A-FRIEND DAY TONIGHT! If you'd like to check us out before the Group Elements Program begins, please attend our Free Intro Class/"Bring a friend Day" on Thursday, August 28th at 7:15pm! RSVP by emailing josh@808crossfit.com. Thanks! The next Group Elements begins Wednesday, September 3, 2014. Please email josh@808crossfit.com with the subject line, "SEPT14 Elements Program," to reserve your spot (spaces are limited and filling up fast). Rest exactly 3-minutes, then . . . . The next Group Elements begins Wednesday, September 3, 2014! Next Group Elements begins Wednesday, September 3, 2014! Choose one load for all eight sets. Important announcement: We will be CLOSED tomorrow, Friday, August 8th, due to the anticipated bad weather from Hurricane Iselle. If the weather conditions clear up and it is safe to hold classes we will let you know. Stay safe everyone! Scheduling Announcement: Please check the website frequently for notices about gym closure due to Hurricane Iselle and Julio, from Thursday, August 7th through Monday, August 11th. We must use common sense and if the roads are not good for driving, I do not want you guys coming to the gym. I will post updates on our CrossFit 808 Facebook page as well. Get your hurricane kits ready and please be safe! Rest 4 minutes, and then repeat for a total of three sets. For the following 6 weeks, we will be building your strength as well as your long metabolic capacity. If you are consistent, stick to your percentages and listen to your coaches, you will see results. We will still program some fun partner/team workouts for Saturdays.